Memoirs of Joseph Grimaldi. Ed. by "Boz". [pseud.] With Illustrations by George Cruikshank ... London: R. Bentley, 1838. Joseph Grimaldi is considered the greatest Pantomine Clown of all time. He invented the white-faced clown with whom we are familiar today, and was known for the physicality of his comic routine. As noted in the introductory chapter, Grimaldi's original manuscript was first altered and revised by Mr. Thomas Egerton Wilks, who sold it to the present publisher. 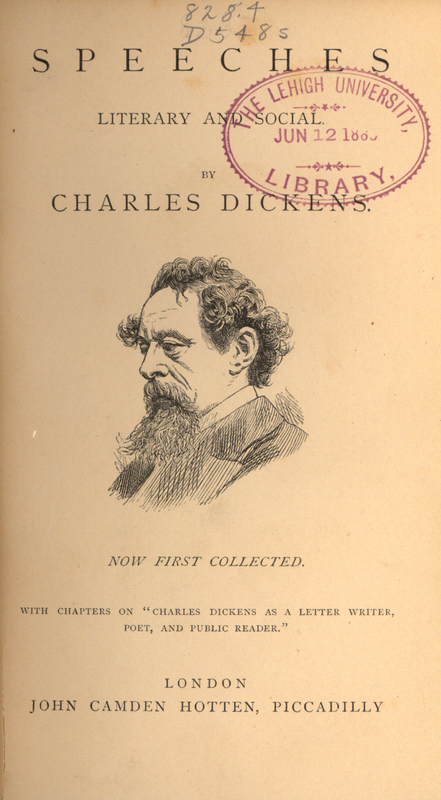 Dickens was hired to edit the book. In the introductory chapter, he wrote, "The present editor ... accepted a proposal from the publisher to edit the book, and has edited it to the best of his ability, altering its form throughout, and making such other alterations as he conceived would improve the narration of the facts without any departure from the facts themselves." Speeches, Literary and Social. Now First Collected. With Chapters on “Charles Dickens as a letter writer, poet, and public reader”. London: J. C. Hotten . Dickens was a much sought-after public speaker, being well informed and able to speak on a wide variety of contemporary issues. Edited by Richard Herne Shepherd (1842-1895), this book contains a bibliography of the writings of Charles Dickens, in addition to the text of many of his public speeches. Infelicia. Philadelphia: J.B. Lippincott & Co., 1872. R. Shelton (Robert Shelton) Mackenzie (1809-1880). Life of Charles Dickens. With Personal Recollections and Anecdotes;--letters by 'Boz', Never before Published;--and Uncollected Papers in Prose and Verse. 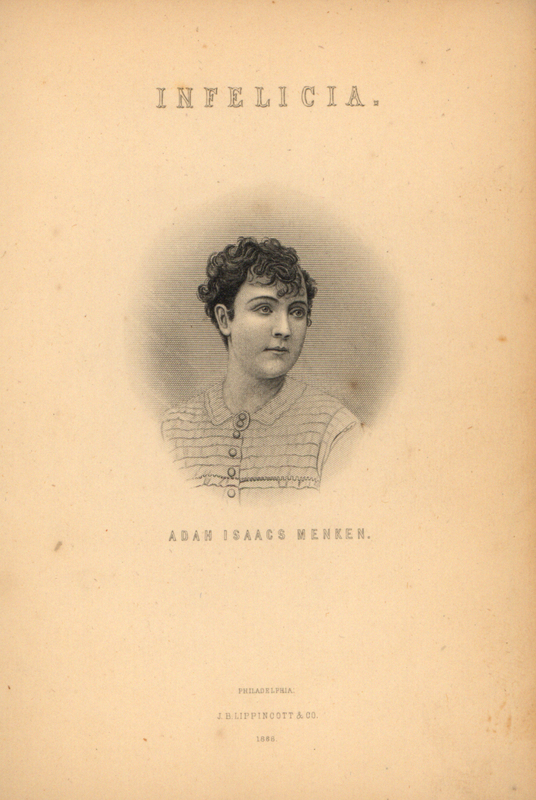 With Portrait and Autograph. Philadelphia: T. B. Peterson & Brothers, . R. Shelton Mackenzie was the London correspondent for the New York Evening Star from 1836 to 1851. 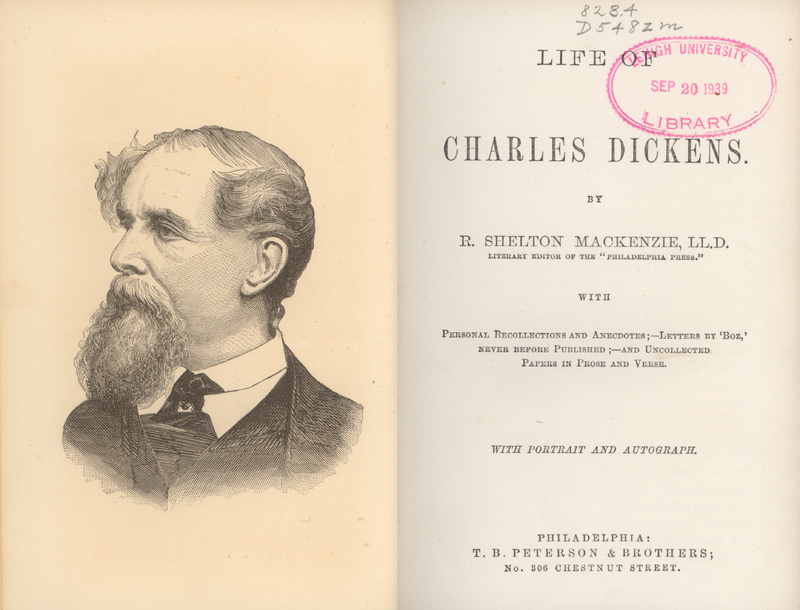 Upon the death of Dickens, Mackenzie quickly wrote the above biography over the course of five weeks. This lively biography contains personal reminiscences and anecdotes. 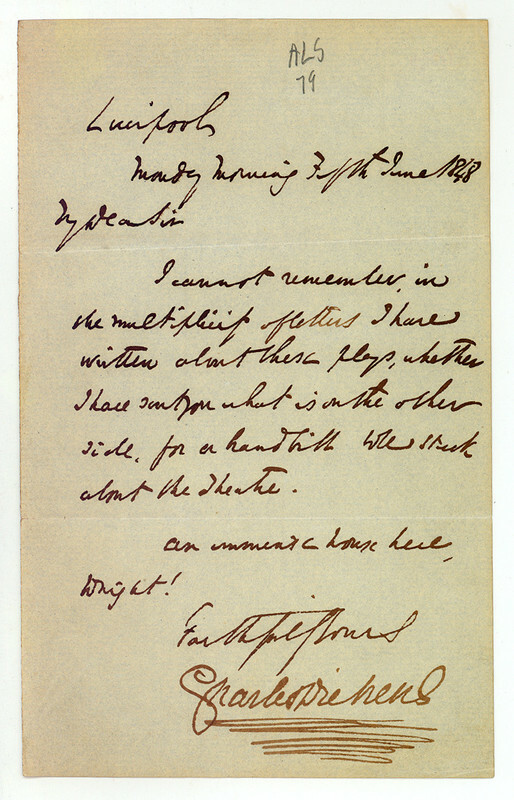 [Letter] 1848 June, Liverpool [to Charles M. Evans]. 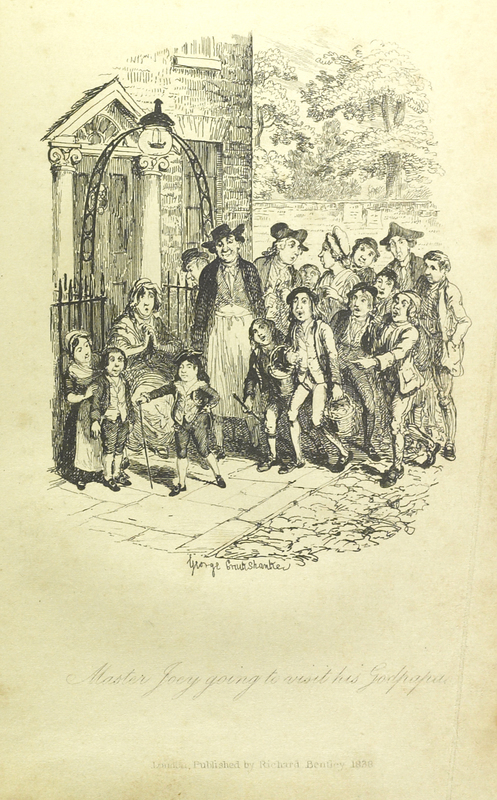 It was written while Dickens was touring with a theatrical troupe known as the Amateurs. Dickens was said to have enjoyed acting and producing plays. Later in life, he gave dramatic readings of his own works. For more information about this letter and other literary treasures, please visit the Lehigh Libraries Digital Library project, I, Remain. * Transcription courtesy of Margaret Brown & Angus Easson, Editors, The Letters of Charles Dickens.